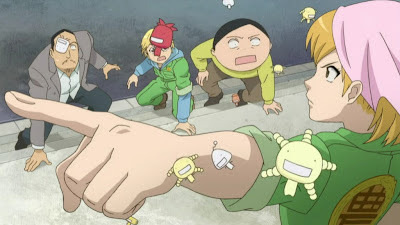 Moyashimon is one of those series that you try to convince your friends to watch it, but when they ask you what's so great about it, you really couldn't think of exactly why. Come to think of it, it's not that there's a single exceptional element, it's the sum of all that is in this anime made it great. Light and somewhat whacky comedy packed with lots, I mean lots, of knowledge about fermentation. In spirit, it feels very much like Nodame Cantabile series. Without know the story of the first season, you'd probably be mostly lost. If you haven't seen the original series, I'd highly recommend you to watch the first season before even start this one.